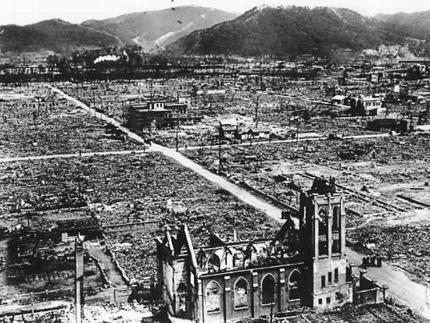 When I first went to Hiroshima in 1967, the shadow on the steps was still there. It was an almost perfect impression of a human being at ease: legs splayed, back bent, one hand by her side as she sat waiting for a bank to open. At a quarter past eight on the morning of 6 August, 1945, she and her silhouette were burned into the granite. I stared at the shadow for an hour or more, unforgettably. When I returned many years later, it was gone: taken away, “disappeared”, a political embarrassment. 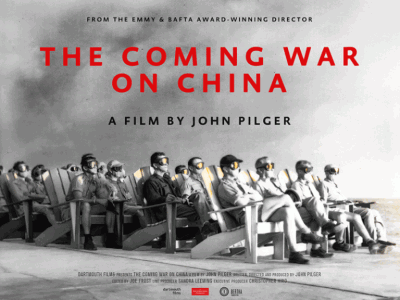 John Pilger’s film, The Coming War on China, is released in UK cinemas and will be broadcast on the ITV Network on December 6 at 10.40 pm. RT Documentaries will broadcast The Coming War on China worldwide on December 9, 10 & 11. The Australian release will be early 2017 on SBS Television.